It’s my final morning in Bekoji, Ethiopia. American photographer Tori Pintar and I speak idly with Sukare Nure and Fatia Abdi. The pair works for the Girls Gotta Run Foundation in Bekoji, Sukare as a program administrator and Fatia as a coach. After spending 10 days together, the four of us are now friends, and the mood between us feels free and informal. Sukare and Fatia ask Tori and I about our lives in the United States. What are our job titles? Do we own or rent our homes? Do we have husbands and children? Are American women expected by society to have children? What kinds of runners are we? What is athletics like in the U.S.? I have gotten to know Muley during my stay here, and have heard him say this over and over. He’s right. To watch women in Bekoji is to see things getting done: collecting and transporting water, collecting and carrying firewood, washing clothes, selling in shops and market stalls, cleaning and maintaining the home, caring for children, cooking, milking cows and goats, taking livestock to the fields for grazing, and sorting and cleaning grain. 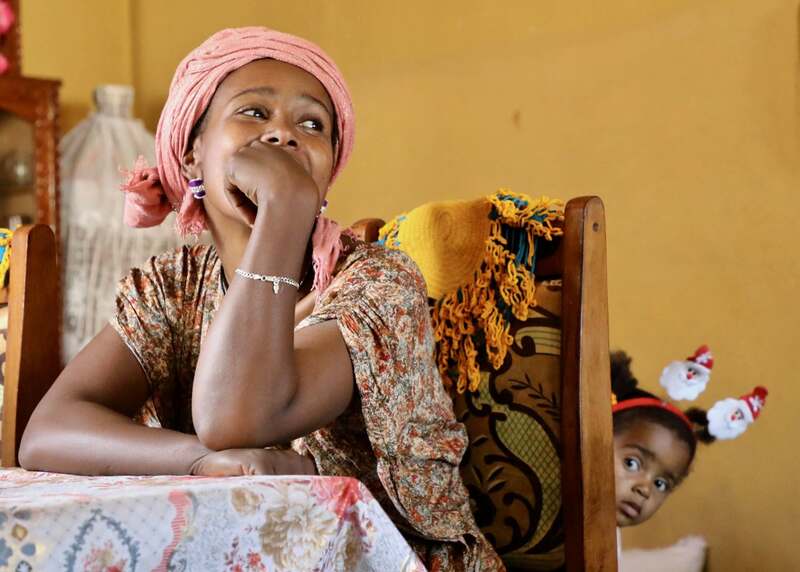 It goes on almost forever, the list of what an Ethiopian woman does in a day to make life happen. That all said, Ethiopia is historically a patriarchy, where men have occupied the leadership positions of home, society, and politics. 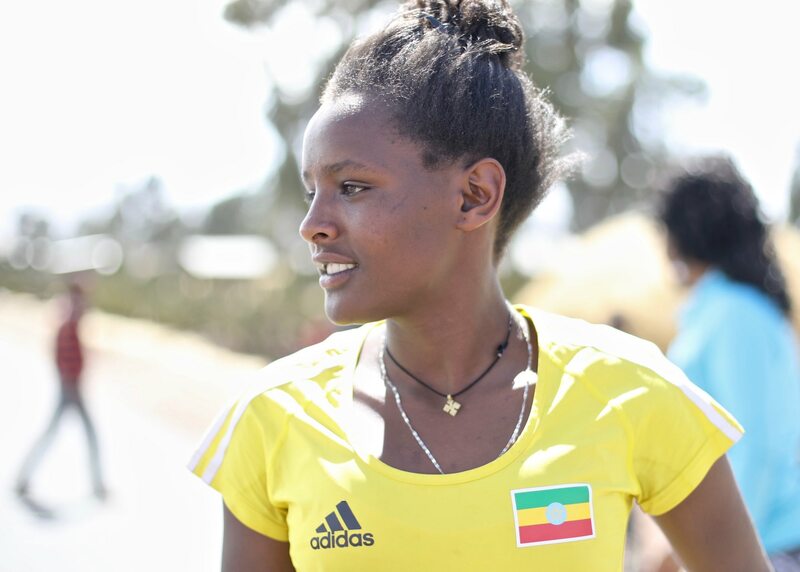 This has made girls and women Ethiopia’s systemic sociopolitical underdogs. Women work longer days than men, and complete the vast majority of domestic labor. Women have unequal access to income-earning jobs, and when they contribute to income-earning work in their households, their compensation can be almost zero. A woman has unequal access to and control over critical resources, such as her household’s money and livestock. Girls and women lack full control over their reproductive rights and have unequal access to education and health care. Girls are placed into child marriages with men of a much older age. Women and girls have higher illiteracy rates than men and boys. Though children enroll in primary school at nearly equal rates, fewer girls make it all the way through secondary school than boys. Again, the list goes on. Over the last 10 days, I have heard multiple people say that this concept is being turned on its head at almost every societal level in Ethiopia. While all these gender disparities remain, the degree of disparity has lessened in the last 15 years. Women are gaining control of parts of their household’s assets. Women are entering the skilled-labor and professional work forces. Ethiopia’s newest (male) Prime Minister Abiy Ahmed, elected in the first half of 2018, has filled half his cabinet with women and named a woman, Sahle-Work Zewde, as Ethiopia’s first female President. This makes her Africa’s only female head of state at present, and one of few in recent continental history. I can’t help but let my mind also wander to what an Ethiopian woman’s life will be like in another 15 years. While we all lean in close over the circular table in between us, I look around at the four of us and remember that despite disparities, each of us works in positions of leadership and positive influence in our own corners of the globe. I think, Perhaps it is the world that is run by women. 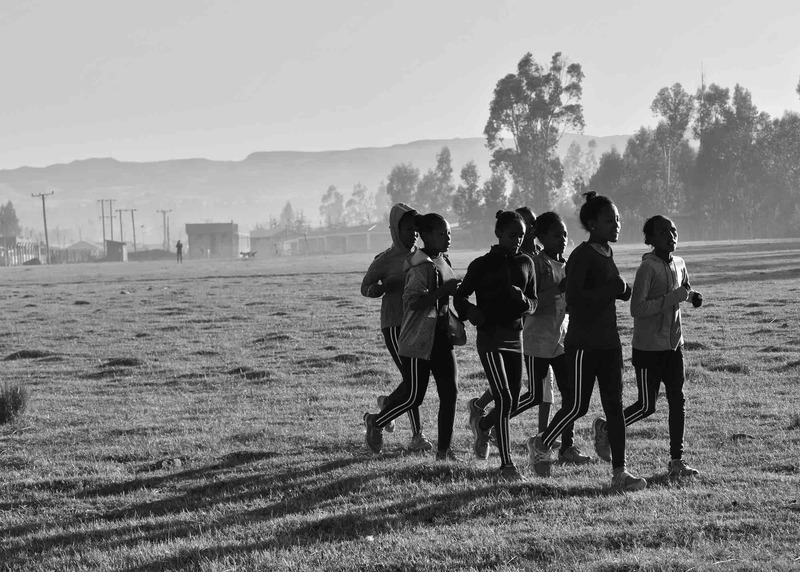 Younger members of the Girls Gotta Run program in Bekoji during their morning training. ‘Melkam Gena!’ A mom and her baby celebrate Orthodox Christmas Day. 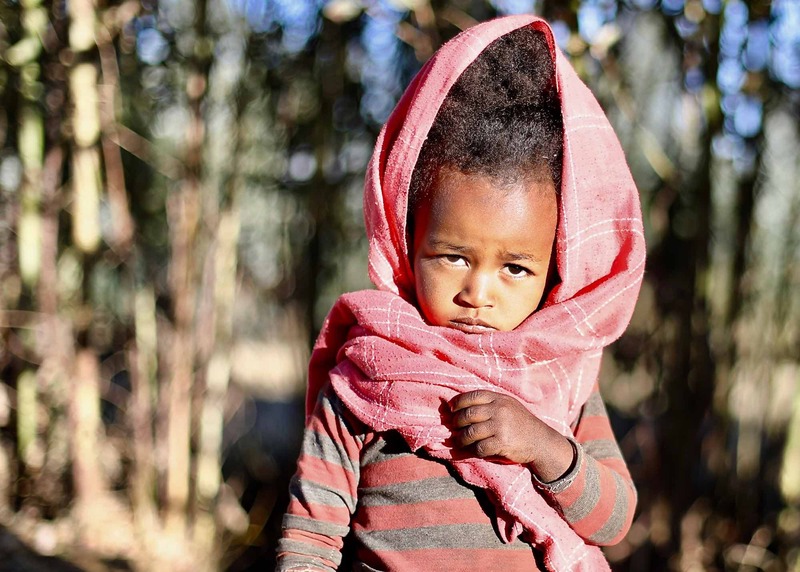 One can’t help but wonder who this Bekoji toddler will become someday?